emyark, 一夕花开，缤纷两帝。: life with bliss from Father aside me in his town. 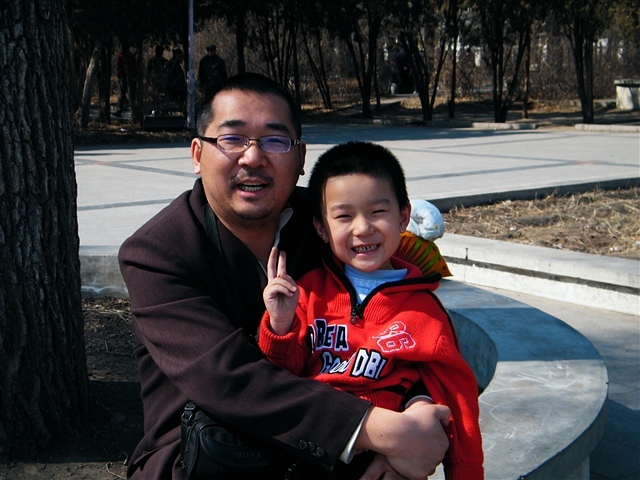 settled in dad's house, in hometown village Zhudajiu.^its has been almost a week since last blog. now, after 3 days on the road, i settled in the old house of my passed dad. my aged mom cooked for me, and i enjoyed the food very much as usual. the broadband likely will working next day. it has been sunny days since my arrival. 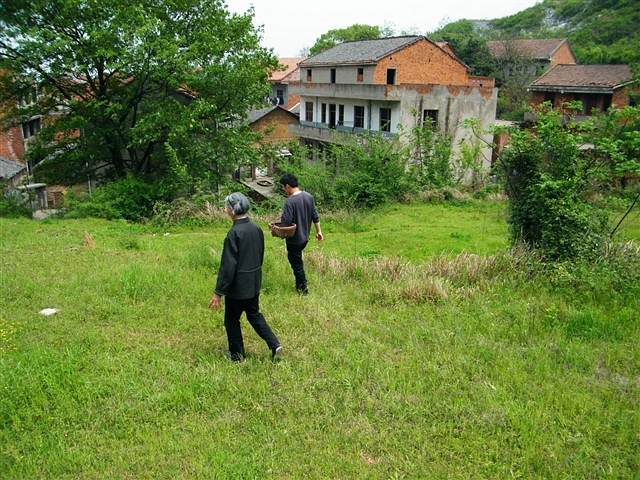 yesterday i slept a lot, amid reckons from the shrewd folks in the village, whose inhabitant mostly in family name Zhu. last night it again hard for me to sleep, i felt God, my passed dad aside me, and all of sins in the folks, esp. their wives. the journey on the train is the tour i babbled most in my life. in thirst for my missing girl zhou, as well as my other wives, i searched every single girl for my beloved. in my dad's house these days sometimes those girls' friendly attitude toward me when i sought talking with them reappeared in my mind eyes, and i was deeply touched by their tender hearts for me. on the distant bus from Wuhan to Wuxue, my hometown county, the movie on the bus is a love story, the endeared moment with my girl zhou in QRRS was called forth to my mind, i was more assured that love is immortal, and my new family with my girl zhou, is blessed even stronger. last night it rained first time since my arrival. to be exact it started in late afternoon. when it drizzled, i didn't see God's view. but in the night it turns clear. my surf&reading occasionally led to some exotic pictures, then i sensed all dirt among the villagers under my feet. i see God's mercy and kindness. last time when i lived in the village for more than 2 months, it was exactly the dirt around drove me away from my passed dad, God, his land. the rain also a Bliss and nutrition to my beloved that praying for our gathering. i know God sets it up already, and in the most elegant and brilliant way. this morning i finally broke China surveillance which failed me many attempts yesterday, successfully posted all photos&videos in the journey. God grants my enjoyable working space anywhere i bring with. Ok, its time for launch. bye, all my girls, i know girl zhou follows me in this county and countryside. bring me my fuel and drinks, my best beloved! i love u all, my dearest, my brides. God sees and sets in the only Son. got train tickets in the morning before visit office. tried to contact cadres in QRRS but failed. the deparment director, a Wang, rebuff my request to lean for my hometown journey, while the Zhou's office phone all time absent. read in office to kill time. help neighbor woman colleague to fix her qq rtx enterprise im. gamed all night with baby, including installed new mini games. gamed with baby most of the day, also cared additional download. a slim girl student visit&baby teased her, but i felt too soon for baby and the girl student to see any premature emotion. gamed with baby before sleep, baby fell to bump on his head, but he asked to game the same next night. late sleep. the grandma visited to attending baby. baby watched animation while i dozed again aside. ema returned&launched together. played pc games with baby late afternoon, when it started to drizzle. ema gave up buffet with her colleagues, staying home to dine. i bought beef pies and soup and ice cream for baby. baby son, warrenzh, 朱楚甲, domain owner of warozhu.com, immersed in pc games. proud father, benzrad, 朱子卓, and joyful baby son, warrenzh, 朱楚甲. 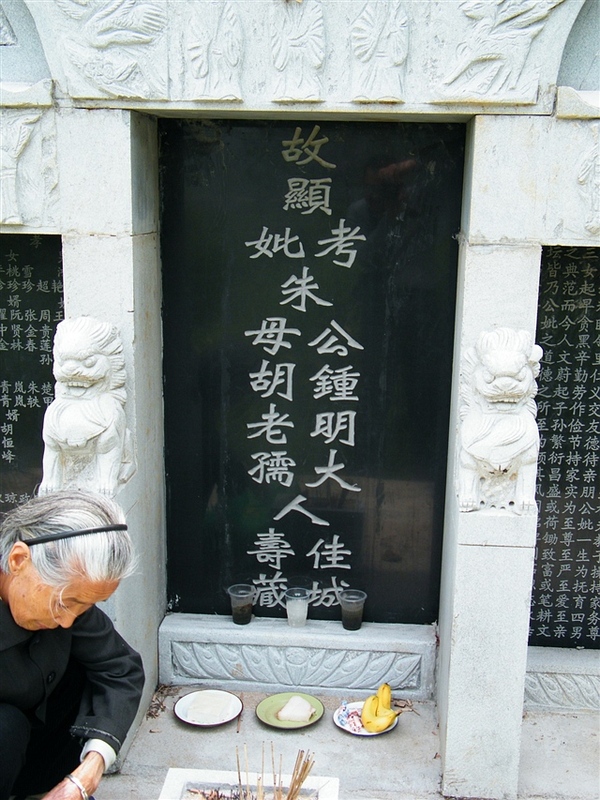 my dad, 朱中明, Father in Heaven, his tomb here in my hometown village. the ever green slope of our back mountain, 大璧山. world blesses it.